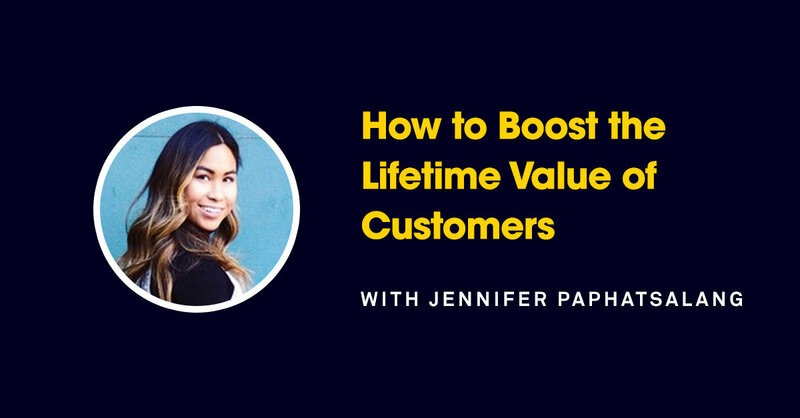 Jennifer Paphatsalang is responsible for guiding new Leadpages customers through their first 30 days. She helps them get up to speed with email onboarding sequences, e-courses for self-paced training, and live training webinars every Wednesday. In this episode, she’ll share her advice for getting customers using your products successfully and feeling good about the investment they’ve made. Tim: Previously on the all new ConversionCast. Jennifer: Separate what is best for the business which sounds a little odd. But listen what you want to narrow it down to is what is best for the customer. At what point does the customer feel successful versus at what point is LeadPages feel like we officially won over a customer. Tim: This is the conversion journey in 13 parts as told by the LeadPages team. In this all new series, you’ll hear what we do each day at LeadPages to find, convert, and keep our customers. So we’ve been spending time on this customer journey. The steps to find and acquire customers and we’re moving now as we approach the end of season 1 into once you get a customer, how do you keep them? How do you keep them happy? How do you keep them engaged, turn them into evangelist and further just reinforce the reason why you do what you do in the first place. And I thought that this was the perfect opportunity to bring on Jennifer who’s going to be talking about customer onboarding. Once somebody gives you their money, how do you say okay thank you so much now here’s you can have success. So I think the first thing to do Jennifer would be can you tell us a little bit about what you’re role is here at LeadPages? Jennifer: Absolutely. So here at LeadPages I focus on the initial first 30 days of when a customer comes on board and specifically that can mean a lot of different things in regards to onboarding. So I work with the email sequence that we send out to customers just to get them familiar with the platform. I also have created online e-courses where it’s pretty much is a self-paced training for those who need a little more step by step manuals but then I also do live training webinars every Wednesday as well. And so I guess onboarding at LeadPages here what I focus on are providing as many different training opportunities for our customers so that they are familiar with their tool and they can feel like they’ve reached that point of okay this was worth the money as early as possible. Tim: I love it. And I think what will be really beneficial first is can you just talk about some of the general things that we do and we’ll get into the details. But some of the general things that you put in place for when somebody click that buy button, they become a customer and then what happens? Jennifer: Absolutely. So there’s so many moving parts to the onboarding. As soon as somebody clicks purchase they’ll get an email right away and that kicks off essentially 12 day email sequence that we use with drip which is our email service provider and they get emails across the next 2 weeks on different strategies for using LeadPages. Now once they actually enter into the LeadPages platform we don’t stop there. So the first time that they log in to the app they receive some in app walkthroughs that we create using walk me. and then they’ll also see and in app message and that message is pretty much from me and it’s saying welcome to LeadPages and by the way we have the LeadPages Launchpad course which is our e-learning that I just mentioned. So we send people to an e-learning which takes about 10 minutes to actually walkthrough. It’s very quick and easy and it at least establishes what the basics are for using LeadPages. And once they actually complete the training then I send them an invite in app again to attend a live training webinar where they can actually ask their questions out loud with me and I actually walkthrough step by step on how to build different pages and boxes in the application. Tim: So this is a pretty robust onboarding sequence and not even just a sequence but really just an entire I guess initiative that you’ve put together. Why is this something that we put so much focus into? Jennifer: That’s a great question. I think one thing that stresses that onboarding doesn’t always mean strictly training like webinar training. Onboarding is providing that first experience with your paying customer. So this is setting the tone of what they’re going to experience throughout their lifetime of using LeadPages and that’s why we put so much effort into the different tools that we use to onboard customers and the different types of communication and courses as well as the analytics in place to make sure that when they get to the first point of value and for us at LeadPages it’s getting them their first opt-in showing them that they can be successful this quickly and it provides the stepping stones to what is– how they can expect to use the tools to help grow their own business. Tim: So a lot of it is focused on getting them a quick win and then of course providing the education that keeps that going. Jennifer: Absolutely. So I like to focus on just outlining at what point when a user is using LeadPages do they get that “aha!” moment or they feel like you know what this was worth the money. And that’s what we call the time of their first value. And so what we did here at LeadPages is they worked with my manager and we just walked through at what point does the customer, say yes this is worth my money. And of course there’s little steps that are quick wins but what is that big moment where they feel like they’ve done something correctly that business now going to in turn bring revenue in for them and that’s that opt-in. and so what we’ve done there is outline the different steps to get to that final first value and put in place the different tools to get them there. Tim: Interesting. so how do you– I know you said you worked with your manager. But how did you determine what is that first point. I mean let’s just say for example you are being Jennifer the consultant and somebody came in and said I want to get an onboarding process in place. How do I know what that first point of value is? How do they figure that out? Jennifer: Sure. So there’s a few different methods that you can do and I recommend doing a combination just so you have a good general idea. The first thing is to separate what is best for the business which sounds a little odd. But listen what you want to narrow it down to is what is best for the customer. At what point is the customer feels successful versus at what point is LeadPages feel like we’ve officially won over a customer. So what we did was to determine what our main goal here at LeadPages is and that’s to help people grow their businesses. Well having a nice looking lead page is great but that’s not going to mean anything unless it generates revenue for our customers. and so that’s how we came to determine that having at least one opt-in was going to be that value achievement for our onboarded customers. Now another thing that I’ve seen other customers do or companies do is flat out ask what are you hoping to accomplish with us? Why did you purchase this in the first place and I mean that is probably the easiest way to figure out at what point do you need to build up your onboarding platform to have an official and successful onboarded customer. So using your internal team and kind of outlining that process but also getting customer feedback and kind of serving your successful customers and asking them at what point did you feel really good about us? Or at what point did you know this was it for you and that you made the right decision in choosing us? Tim: Awesome. Now before we go any further I have to mention that all throughout this episode and in the all new season of ConversionCast, you’re hearing what we do at LeadPages to automatically grow our email list and boost our sales every single day. Well in my next webinar, I’ll show exactly how do to this for your business. In this free training, I’ll give you a live step by step walkthrough of the top 3 tactics we use at LeadPages to automatically grow our own list week after week. This is going to be everything you need to know to implement this in your business. So make sure you check it out. To reserve your spot on the webinar, text LEADPAGESLIVE to 33444. That’s all one word, LEADPAGESLIVE to 33444 or head to leadpageswebinar.com. All right let’s get back to it. That’s really good. And so once you figure that out you’re going to want to say okay great I’ve determined that and now I want to lead them down the steps to getting that first value in the case of LeadPages it’s that first lead or whatever it is. As you’re figuring that out and you’re thinking about next steps, somebody listening to this right now maybe they are solopreneur. They don’t have a lot of resources. They don’t have a team and they have to get something in place that can get the job done but also they don’t have a million hours to get it done. So I guess part 1 of this question is how do you determine how much is enough? And I guess part 2 is if your circumstance such that maybe you do have the time but you want to provide the best experience, how do you decide how to do that? So I guess let’s start with the first part which is how do you decide what’s enough? Jennifer: Sure. So honestly the biggest thing that you need to focus on is that first communication with a brand new customer and so crafting that first in app message or if you’re even a consultant, what is that email look like when you are going to set up an appointment with your customer or client? What is that email look like when you are– or your thank you page when you’re thanking them for your business now that they purchased? And as long as you can set the right tone to that email, you can set the expectation of what that customer is going to receive now that they have purchased your product and you’ve explained value in that email at the same time. that’s the foundation of what your onboarding is going to consist of and so as I mentioned earlier, your onboarding is a chance for you to make that first impression and as simple as having an email or even a connection on Facebook on LinkedIn or having them be a part of a private community. You want to stress that that is enough value that they want to even learn and explore more about your services because they’re already a customer but there’s always a chance for you to build that relationship and that first communication whether it comes from an email or even a phone call is going to be where you need to start with the onboarding and that should be enough as the first touch. Now depending on what your business does and what your goals our for your customer, it’s really going to depend on what do you feel like is going to be enough for your customers to stay. No two companies have the same onboarding process and that’s because we all have different goals and we all have different things that we want our customers to accomplish by using our platform. And so onboarding could mean 1 day and a customer is officially onboarded let’s say. But onboarding I’ve seen last years depending on what the product is or it can be a few months. And so I think it’s really important just to take a step back and have a general outline and have some tips and tricks on what onboarding consist of but then tie it back to your own business and outline those steps for yourself and don’t try to compare your steps to other business because they might be trying to accomplish something completely different from what you are. Tim: Right. And it’s something that can evolve as well. I mean as the business evolves as your team evolves, your customers evolve, your products evolve, your onboarding can evolve as well. You can start with something that gets them there in a pretty simple way and then as your customers gets more sophisticated, your market gets more sophisticated so can your onboarding and just as a quick example. I was last year on a cruise for podcaster’s paradise and a bunch of folk that did podcasting and the people I was with are really incredible entrepreneurs with huge 7 figure businesses and doing all these amazing things and the number 1 talk when we were all sitting around a table or whatever, it was always onboarding. It was always providing that experience so that people stuck around that they wanted to be customers and these are folks who have already big businesses that already have great onboarding processes in place but they’re constantly trying to evolve that. and think the reason why I thought this was so important to talk about now is that it’s way too easy to focus everything you can on getting the sale and from then on it’s just kind of like well we got the sale. But there’s so much more that goes on once the sale is made to not only keep the sale but also to make sure your business is doing what the intent of that business is. And it seems like that’s been a big focus for you. So based on what we’ve talked about so far is there anything that we’ve left out that’s just hypercritical for somebody if they are trying to study the way that we do onboarding, anything that you would tell them that we haven’t gotten the chance to do yet? Jennifer: I think just to sum it up, it’s so much easier to start out with a happy customer and train and provide the stepping stones for them to be successful than it is to stop somebody from leaving. And so there is a stat here and this is going to apply to software which is obviously what LeadPages is but you can use this across any organization and it’s that 40% to 60% of customers who sign up for free trial of software will use once and never come back. So if you don’t have a successful onboarding, if you don’t get them using the app, if you don’t get them meeting that first time of value within however your onboarding process is going to be then you’ve almost already lost them. And so it’s so important to establish that relationship right out of the gate, set the expectation for what your customers are going to expect from you and then to follow through. Another thing to mention is that onboarding doesn’t stop once the customer has reached that point of the first value. You want to continue to nurture your customers just as you do with your leads. And so here at LeadPages once you go through the training webinar and the e-courses that doesn’t mean we stop talking to you. We actually have marketing mastery sessions where now that you’ve learned how to use the tool, let’s build on the strategies that you can use to build your business and then use our tools to almost help you grow your business and Jeff, my colleague, leads those sessions. We also host other webinars and other e-books and guides for customers outside of this onboarding session because not only do we want them to be successful with our service, we want them to be successful with their business whether it’s teaching them on the tool or teaching them on strategies that’s where I think we here at LeadPages provide value and I think it’s important for you as a business owner, as a consultant to determine what is that first win that you’re going to reach for and then how do you continue to nurture them so that they are a lifetime customer of yours. Tim: Yeah. I think the biggest takeaway that I’ve gotten is focusing on getting them that first win relative to whatever it is that your promise was, whatever you were trying to get them to understand that your product would do for them, get them to that first win as quickly as possible and it leads perfectly to the next episode of the all new ConversionCast with Jeff Lindberg who you mentioned. He’s talking about post sale marketing so how to continue marketing to your customers to provide as much value as possible from onboarding to the next step and continuing support. Jennifer, thank you so much for coming on the show and sharing some of the work that you’re doing at LeadPages. We really appreciate it. Jennifer: Not a problem. Thank you so much for having me, Tim. And I hope some of these onboarding tips were helpful to our listeners.